Last month we discussed some of the problems that are prevalent with headaches in the current model of medical care. These three problems in headache care were: 1) A lack of quality health care professionals 2) Improper diagnosis of headaches 3) Improper treatment of headaches. In the next couple of articles we will breakdown different types of headaches and discuss how these three problems relate to each type of headache, and then provide information about the cause and treatment options of each of them. We will start out with the most common kind of headache, tension headaches. Tension-type headaches are the most common form of headache, occurring in about three-quarters of the general population. They can range from the occasional mild headache to daily disabling headaches in some cases. (Tension-type) headaches most commonly last from 30 minutes to 7 days. Tension-type headaches have been called by various names over the years, including tension headache, muscle contraction headache, psychomyogenic headache, stress headache, ordinary headache, essential headache, idiopathic headache, and psychogenic headache. Infrequent episodic type tension-type headache: one or fewer episodes per month. Frequent episodic type tension-type headache: more than one, but fewer than 15 episodes per month for three or more months. Chronic tension-type headache: more than 15 episodes per month for three or more months. There may be mild nausea with this type of tension-type headache. Let’s begin by unwrapping this definition given to us by the experts over at the American Migraine Foundation. First off, if you are having a hard time pinning down in your mind exactly what tension headaches are, don’t worry, the AMF is too. If you think that defining a condition as prevalent in an extremely large percentage of the population, that can be anywhere on the pain scale from mild to extreme, can last anywhere from 30 minutes to over 300 times as long (7 days), and can occur once a month, 1-15 times per month for three months or more, or occur more than fifteen times per month for over three months is specific enough to properly help a condition, then I can assure you that you would find a great job at this foundation. This would be the equivalent of a criminal sketch artist being asked to draw a suspect who is a multi-racial individual, between 22 and 55, between 140 and 350lbs and who was last seen wearing blue jeans. Seems like a rough task to be able to nail down a suspect based on such a nonspecific description. Further evidence that there isn’t a clear definition of tension headaches from the medical community is found in the range and multitude of vague names of this headache. Tension and muscle contraction headache imply a muscular origin or involvement, whereas stress and psychogenic headache mean that the headache is mentally created by the nervous system and brain. Psychomyogenic headache indicates both muscle and mental involvement. Furthermore, ordinary and essential headache imply the this type of headache is a basic, common, everyday, normal headache. 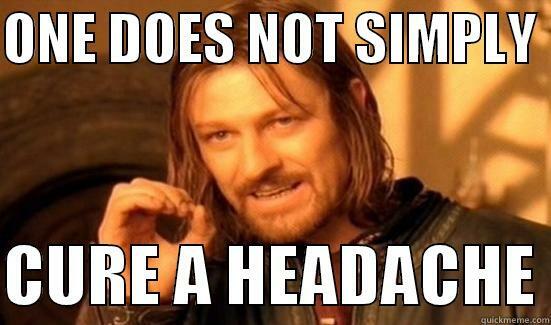 Lastly, idiopathic headaches are mentioned. 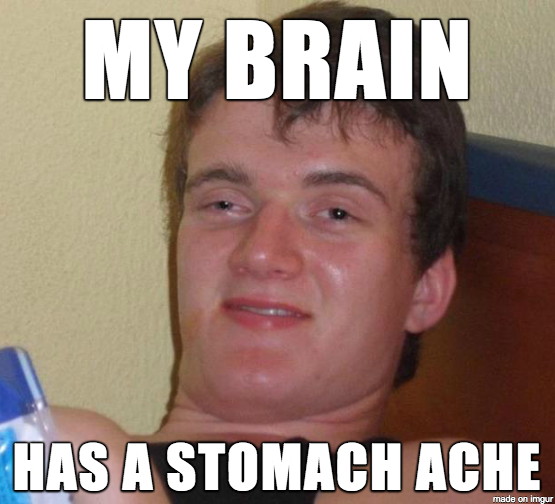 In medical terminology, “idiopathic” is a word that is used to describe a condition or disease which is seemingly spontaneous in nature and has no known cause. So what happens when you lump together a condition with vague presentations and an unknown cause? Tension headaches are almost exclusively diagnosed via symptoms. This includes location and quality of pain as well as an increased severity due to factors like activity, light, or sound. According to the American Migraine Foundation, there are no diagnostic tests to confirm tension headaches. Tension headaches do mimic other types of more serious headaches such as headaches that are secondary to medication overuse or brain lesions and tumors, so if imaging like an MRI is ordered, it is to rule out these more serious conditions. Furthermore, the AMF also states that a tension headache is similar to a migraine and that a tension headache can itself also cause a migraine. What this means, in the grand scheme of things, is that a tension headache diagnosis is often made as a diagnosis of exclusion when other headaches are ruled out, or when the symptoms of the headache do not quite match up with different diagnosis such as a migraine. What this means is that when a medical doctor makes a diagnosis of a tension headache, it is likely because they either can’t find anything else wrong, they aren’t sure it is a migraine, or they think it is all in your head. For a full detailed list of how the diagnosis of tension headaches is made, click here. Infrequent episodic tension-type headache needs only treatment for the individual episodes (acute treatment). Simple analgesics, such as nonsteroidal anti-inflammatory drugs (NSAIDs) or aspirin, are reasonable choices. Sometimes combination analgesics including caffeine can be more effective; but with frequent use, side effects such as rebound headache may emerge. Use of combination therapies containing either butalbital or opioids for treatment of tension-type headache is generally not recommended because of the risk of tolerance, dependency, toxicity, and the development of medication overuse headache. Acute treatments should be limited to no more than twice per week, otherwise they can produce medication overuse headache and may cause undesirable effects on the liver, kidneys, stomach and other organs. If tension-type headaches are frequent, long lasting, or associated with a significant amount of disability, then preventive treatment is recommended. Commonly used preventive strategies include medications such as amitriptyline and non-medication treatments for headache such as biofeedback, relaxation, and cognitive-behavioral therapy, acupuncture, massage therapy or physical therapy. Breaking down these lists of treatment options, there is a high bias towards which pharmaceuticals, none of which are said to have promising effects, and almost all of which are noted to cause overuse headaches, dependency, or toxicity to vital organs in the body if they are overused. Again these three problems from our previous headache article rear their head and make it difficult to nail down a proper route of treatment in tension headaches. Much as the saying, “you can’t hit a target that you can’t see,” you can’t treat a condition if you don’t know the cause of it. Furthermore, only one sentence is given to mention conservative and holistic methods of treatments and of course chiropractic care is conveniently left out as well. As we are about to explore, all of these conservative treatment options, including chiropractic care, do a very good job of helping tension headaches while at the same time having almost no side effects. The term cervicogenic headache is commonly misued and does not simply apply to a headache associated with neck pain; many headache disorders, including migraine and tension-type headache, can have associated neck pain/tension. Rather there must be evidence of a disorder or lesion within the cervical spine or soft tissues of the neck, known to be able to cause headache. Such disorders include tumours, fractures, infections and rheumatoid arthritis of the upper cervical spine. The problem with this definition? 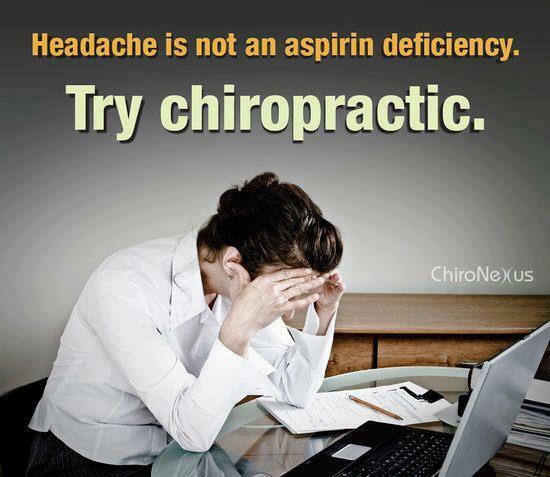 It recognizes (similar to tension headaches) that the neck and soft tissues (muscles, ligaments, etc.) can cause a headache, but then only recognizes this association if there is a serious condition like a tumor, fracture, etc. In this scenario, the muscles and joints of the neck are subject to increased strain over a long period of time due to a multitude of stressors found in everyday life. These stressors are often related to neck posture or lack of general movement at work, school, or home causing increased demand from the neck muscles to stabilize the head and neck. When excessive stress is placed on the muscles of the neck, they will begin to spasm causing pain and tenderness. Because muscles control the movement of joints, these spasms also lock down the joints of the neck which makes it more and more difficult to move and function. These repetitive stresses, spasms, and joint dysfunction all have the ability to cause the pain that is seen in both tension and cervicogenic headaches. From here, these muscles can either physically irritate cervical nerves within their periphery causing radiation of this pain into the front of the head. Inflammation caused by the pain and lack of motion in the neck can chemically irritate these nerves and cause a similar response as well. Emotional or mental cause of headaches does not imply that you are making the pain up in your head as synonyms in the medical field to tension-type headaches such as psychogenic or idiopathic headaches implies. Instead, mental stress from everyday life is the implied culprit. This can be from excessive work hours, worrying about health or money problems, or extreme mental pressure such as studying for a big final or applying for a job. Mental stress has not only been known to cause increased tension in muscles and joints due to the reflexive response of the sympathetic nervous system and a decreased threshold in action potential of the muscle, but also specifically it is known to locate to the neck and shoulders. This rabbit hole can even get further in depth in headache care with methods such as acupuncture and Reflexive Performance Reset that recognize other mental and nervous system factors that can cause headaches such as sympathetic triggers in our visual fields, dysfunctional breathing, etc. Because the medical community looks at symptoms rather than cause, it is not surprising to see that their focus is on medication that simply decreases pain and inflammation rather than the mechanism causing the pain and inflammation in the first place. But, how else do we confirm the true cause of many people’s tension headaches and reinforce that the AMF has missed the mark on tension headaches? The answer is in the evaluation, diagnosis, and treatment. Remember in high school when you were forced to show and check your work in math class? Although all of us found it cumbersome as teenagers to do this extra work, the real reason behind it is that it tests the understanding of the problem and the accuracy of the solution to this problem. We can use this as well to “show and check our work” in chiropractic care with the evaluation/diagnosis and treatment of tension headaches. Through the history and evaluation of a headache, we can confirm if muscle and joint or stress is the cause and identify if chiropractic care can help. Patients with tension headaches often complain of pain in the back of the neck that radiates to the head. They typically describe the pain in the neck as tight and many times state that their pain occurs at the end of a long day at work or school, from excessive driving, or during times of high mental stress. As chiropractors, we rely specifically on physical touch of our patients to reveal a large amount of information as to the condition of the underlying structures. Where as a medical field may do a few orthopedic tests and neuro tests, chiropractors go further and physically palpate and move the underlying structures of the head and neck to examine for pain triggers and decreased function. This hands on evaluation is extremely helpful in patients with headaches as we can pinpoint the muscle which are causing the headache. When pressure is applied to these muscles, the patient will experience the same symptoms as their headaches and often times, pressure will increase the severity of the headache. This confirms the diagnosis as a tension headache caused by muscle and joints of the neck and the related everyday activities found in the patient’s history. Now that we have identified an actual target that we can see as the cause of tension headaches, the next step is to hit the target with the correct treatment. By utilizing chiropractic adjustments to restore joint motion, myofascial release to decrease muscle hypertonicity and spasm we can restore the movement and function of the spine. 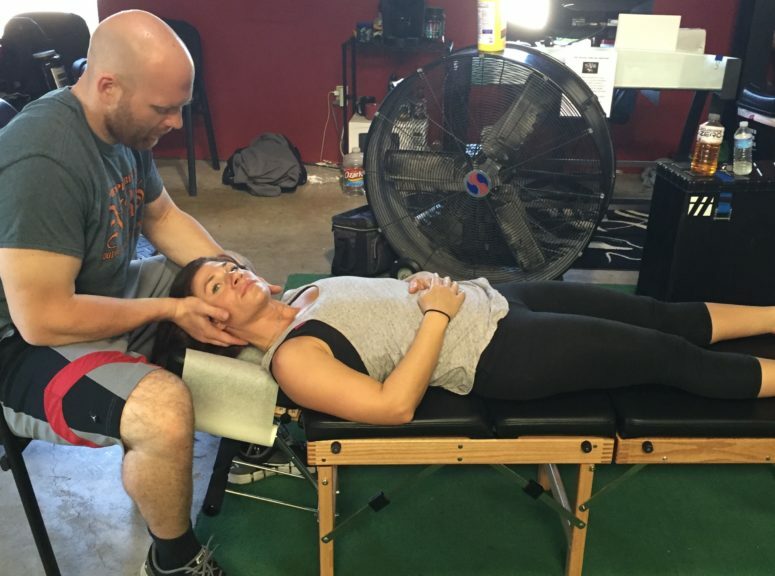 For more in-depth analysis and treatment of more complicated headaches, techniques such as Reflexive Performance Reset can lend a helping hand by resetting the central nervous system and restoring proper parasympathetic tone. Finally, modification of daily habits such as breathing, posture, and handling stress can lead to long term reduction and prevention of future headaches. For more information on headache treatments, visit our website or if you or a loved one is struggling a headache, schedule a visit with Dr. Detweiler by clicking below!